The 449th Bomb Group was originally equipped with sixty-two B-24H Liberator heavy bombers. 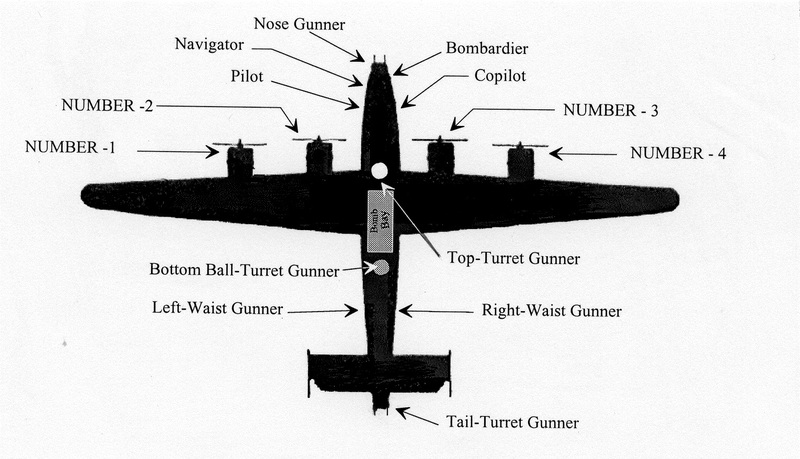 The B-24 design underwent almost continual engineering changes resulting in a series of production models. The famed B-24D was the first combat ready model to be put into mass production by Consolidated Aircraft in, San Diego in early 1942. As the demands of war grew, the Army brought additional companies into the B-24 production pool. In order to meet projected production requirements, a Liberator production pool was established which added four other assembly plants. These were Consolidated, Foth Worth, Douglas Aircraft in Tulsa, Oklahoma, Ford Motor Combany’s Willow Run facility, and North American Aviation in Dallas, Texas. By September 1942, Ford Motor Company’s Willow Run Plant was producing the B-24H model aircraft, and demonstrating the adaptation of automotive mass-production techniques to the manufacture of the huge, four-engine bombers. The techniques were so successful that by 1944 a completed B-24H was rolling off the Willow Run production line every 100 minutes. The twin-tailed B-24H — with a wingspan of 110 feet, overall length of 67 feet and a height of 18 feet — was powered by four Pratt & Whitney R-1830-65 engines, each rated at 1,200 horsepower. The aircraft weighed in empty at just over 36,000 pounds. Maximum loaded weight was 65,000 pounds. 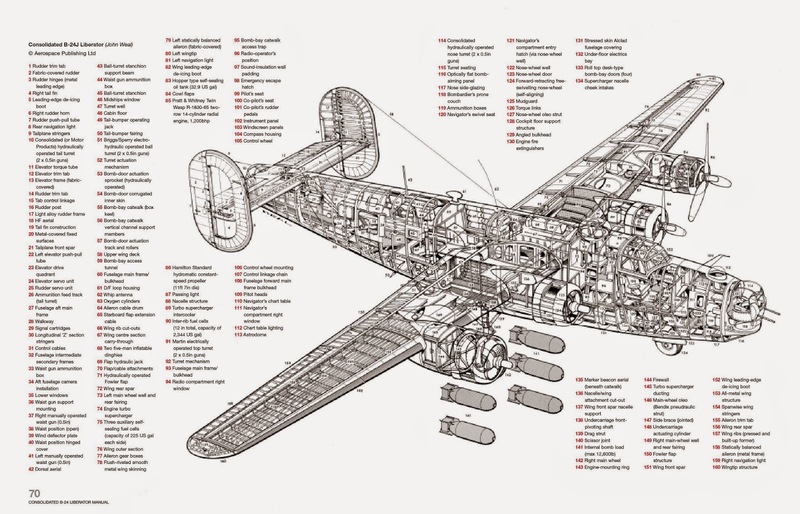 For self-defense, the B-24H carried ten, .50-caliber, machine guns with the powered nose-, top-, bottom-, and tail-turrets mounting two guns each, and a single gun mounted at each of the two waist positions. Manned by a crew of ten men — pilot, copilot, navigator, bombardier, and six gunners — the aircraft was capable of a maximum speed of 290 miles per hour, a service ceiling of 28,000 feet, and a maximum range of 2,100 miles. The range increased to 3,000 miles with the introduction of the J-model. 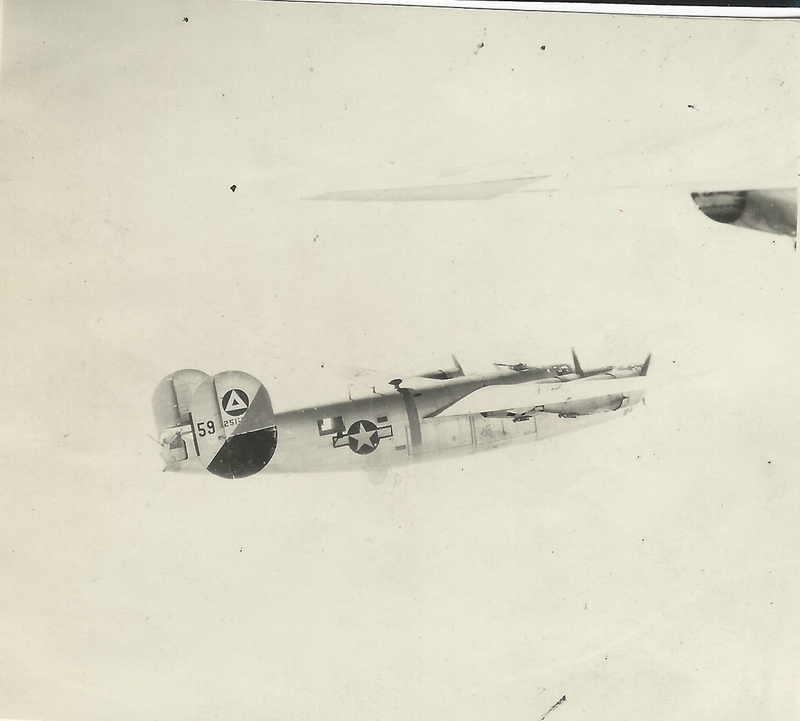 The real payload of the B-24 was 5,000 pounds of bombs. The bomb racks were designed to accommodate a variety of bomb types including the standard 250-pound, 500-pound and 1,000-pound general purpose (GP) bombs, as well as clusters of incendiary and fragmentation bombs. 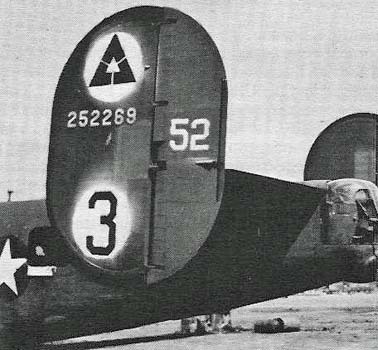 The original B-24H aircraft delivered to the 449th Bomb Group at Bruning were painted olive drab in accordance with Army specifications. By February 1944 the Army abandoned the practice of painting the aircraft in favor of the natural silver color of unpainted aluminum. The first silver aircraft arrived in the 449th in late April 1944. Replacement aircraft would continue to be a mixture of olive drab and silver ships. The 449th Bomb Group used two-digit tail numbers to identify individual aircraft in the formation. The original 62 aircraft the 449th took overseas were numbered sequentially with the following scheme. Combat numbers were reused as aircraft were lost and replaced, so multiple aircraft carried the same tail number at different times. The sequential numbering with no spare numbers between squadrons became restrictive as aircraft were replaced, so in early May ’44 a new numbering scheme was implemented as follows. Many of the existing aircraft received a new tail number at this time to fit in the new scheme. The Original 449th aircraft carried only the two digit Combat Number along with the aircraft serial number on the tail. On 14 February 1944, the 449th adopted the “Bar A” tail marking to honor original Group Commanding Officer Col. Darr Alkire, who was shot down and taken POW on 31 January 1944. 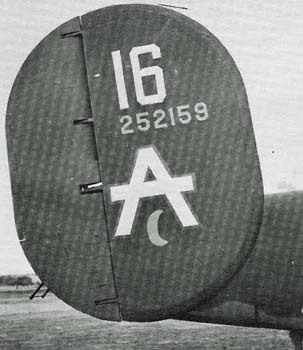 On 16 March 1944, the 47th Wing ordered new tail markings for the Wing. On the top of the vertical stabilizer was a blue triangle inside a white circle to denote the 47th Wing. At the bottom was a blue number in a white circle to denote which bomb group of the Wing. 1=98th BG; 2=376th BG; 3=449th BG; 4=450th BG. The two digit combat number was moved to the rudder. On 8 August 1944, new 47th Wing tail markings were implemented that were variations of a diagonal yellow and black pattern. The triangle for 47th Wing was dropped, but many aircraft that carried the previous markings retained the triangle rather than painting over it.